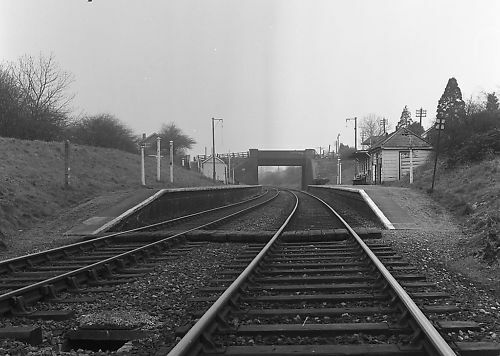 This stopping place on the North Warwickshire railway was originally known as Grimes Hill Halt. 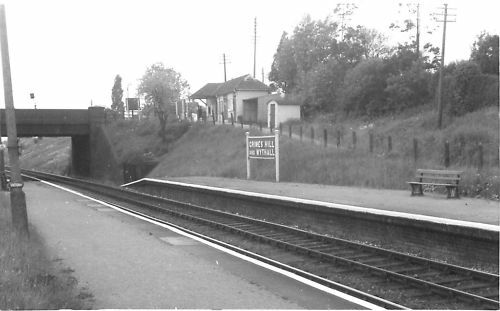 It opened on 1st July 1908 then on 12th July 1914 it was called Grimes Hill & Wythall Halt. 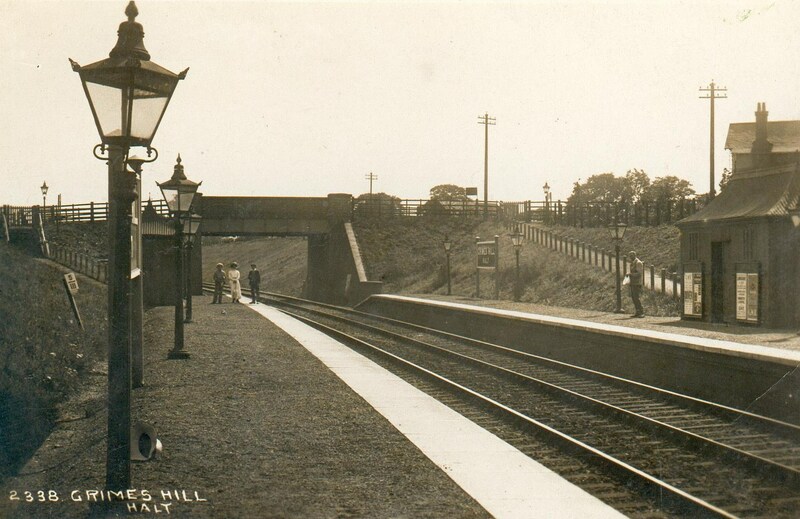 11th July 1927 saw it changed to Platform: It was known as Grimes Hill & Wythall Station from 1934. 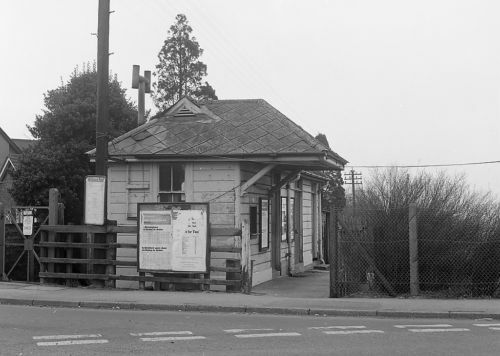 The Station has been called "Wythall" since 6 May 1974 and the old station buildings have been replaced with a bus shelter! 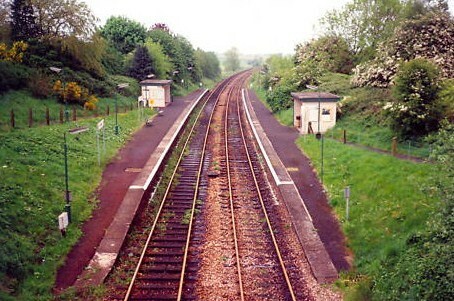 It is currently manned part-time although there are plans to change to un-manned working. 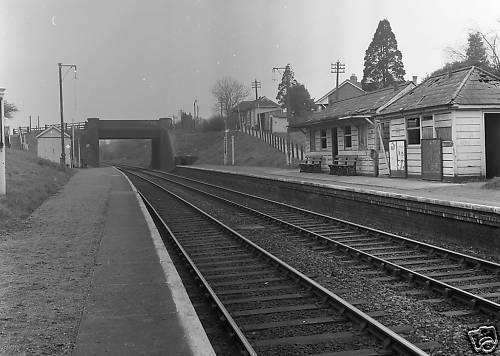 Grimes Hill was a cluster of houses by the station office, which was a distinctive wooden structure. Wythall lies a good 1.5 miles trek away. 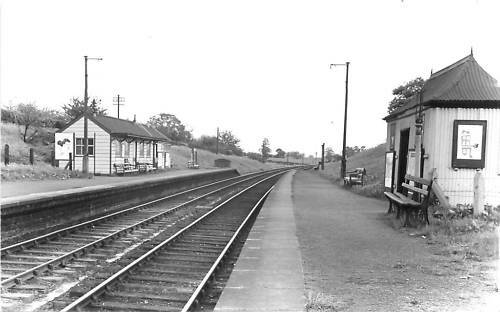 Many a unsuspecting RAF recruit had a rail warrant to “Grimes Hill & Wythall”, and was then faced with a walk with kit bag etc., to the RAF Camp (now the Caravan Club Site & Wythall Transport Museum). 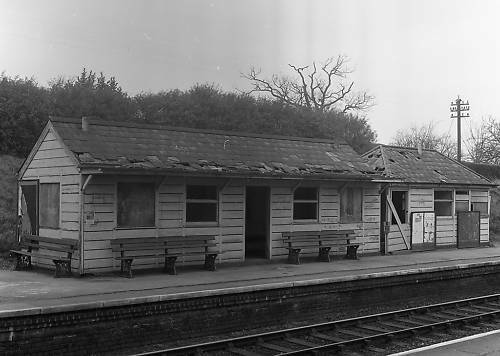 Do you remember the iron stove being used to heat the waiting room on a cold winters morning? Have you any other memories or anecdotes? Please let the History Society know.